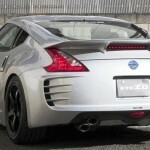 New Nissan 370Z has a great attention from the houses of tuning, the new package being offered by the Japanese Central 20. 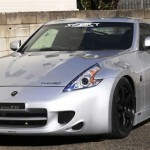 As in most cases, the Nissan 370Z has a new body kit consisting of a front spoiler, side thresholds, rear spoiler and aileron. Also, the Japanese tuning firm offers a new set of wheels, painted in black. In addition, for those who want more than that, Central 20 offers an exhaust system with four exhaust drums, a new suspension system and braking performance. 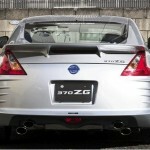 I like what they did with the spoiler, Feont and back bumper.